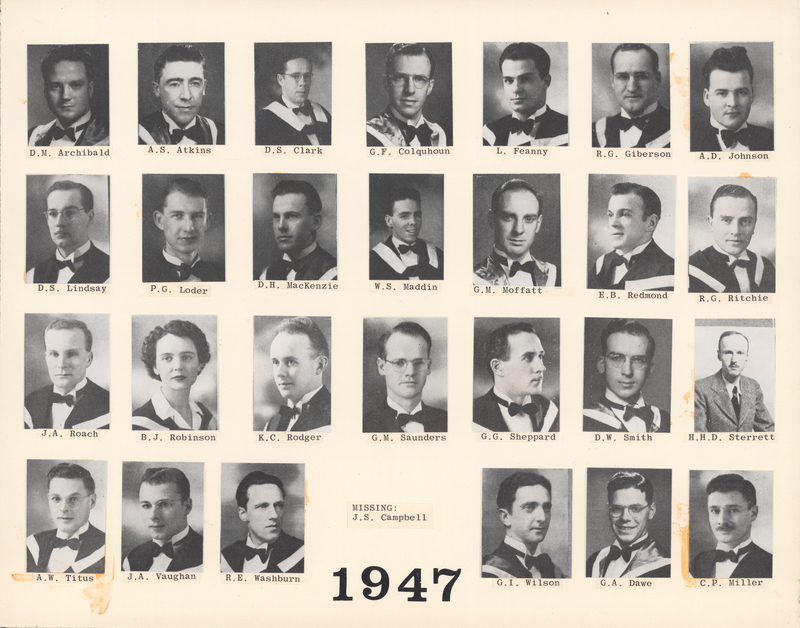 File is a composite photograph the Dalhousie Faculty of Medicine graduating Class of 1947. 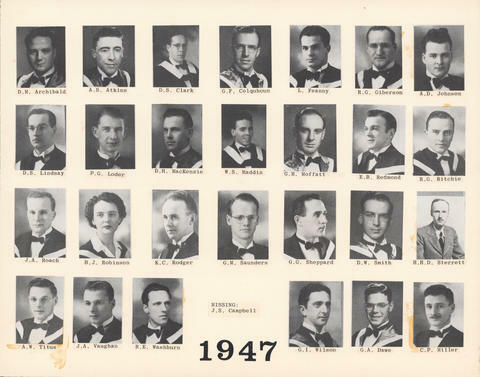 Photograph includes 27 individual portraits mounted on cardstock. Portraits include: D.M. Archibald; A.S. Atkins; D.S. Clark; G.F. Colquhoun; L. Feanny; R.G. Giberson; A.D. Johnson; D.S. Lindsay; P.G. Loder; D.H. MacKenzie; W.S. Maddin; G.M. Moffatt; E.B. Redmond; R.G. Ritchie; J.A. Roach; B.J. Robinson; K.C. Rodger; G.M. Saunders; G.G. Sheppard; D.W. Smith; H.H.D. Sterrett; A.W. Titus; J.A. Vaughan; R.E. Washburn; G.I. Wilson; G.A. Dawe; C.P. Miller.